Quick post to share that the Disney / Lilly partnership to help kids with type 1 Diabetes with the Coco books is expanding to 17 languages and 18 countries. Great news for young T1D kids around the would. One of the points of feed back that Lilly heard consistently at previous social media summits was that kids around the would could benefit from the and other books in this program. Indianapolis, Ind. -- Lilly Diabetes today announced the global expansion of its innovative collaboration with Disney Publishing Worldwide (DPW), which expands the program internationally based on the success of the initiative in the U.S., which began in 2011. The goal of the program is to bring thoughtful educational resources to families of children with diabetes, including a series of custom books co-created by Lilly Diabetes and DPW for children of various ages and stages of life who are living with type 1 diabetes. The books, available through diabetes healthcare professionals, will initially be translated and available in 18 countries. "Lilly Diabetes' objective is to bring safety, health, comfort and a bit of magic to children worldwide," said Andrew Hodge, vice president, International, Lilly Diabetes. "We saw the positive impact our collaboration with Disney Publishing Worldwide had on families living with type 1 diabetes in the U.S. over the last two years, and we are excited to expand our reach globally." The researchers talk primarily about T2D but say there is possible hope increasing beta cell production in early T1D too. Good news for families of CWDs in Arizona. Safe at school legislation has passed and signed. Diabetes Advocates across Arizona joined in celebration after Governor Jan Brewer signed House Bill 2042, ADA’s Safe at School legislation into law last week. This bill will make a huge difference in children’s lives. HB 2042 allows school staff members to volunteer to be trained to give insulin; amends existing statute to add nurses to the list of health providers who can train school personnel to administer glucagon; and allows children who are mature enough to self-manage their diabetes to do so at school and school sponsored activities. These commonsense changes in state law will make school safer – and the future brighter – for kids with diabetes. The Association extends special thanks to our dedicated sponsor, Representative Heather Carter, who has been a tireless champion for HB 2042 and to Governor Jan Brewer for signing HB 2042 into law. The Association also thanks all the legislators who voted for HB 2042—the bill received only three “no” votes during the entire legislative process. Abbott today announced it is initiating a voluntary recall of FreeStyle lnsulinx Blood Glucose Meters in the United States. The company has determined that at extremely high blood glucose levels of 1024 mg/dL and above, the FreeStyle lnsulinx Meter will display and store in memory an incorrect test result that is 1024 mg/dL below the measured result.For detailed information pertaining to this Recalls, Market Withdrawals and Safety Alerts message, please click the link at the beginning of this bulletin. No he isn't in jail. He has a book promotion and you can get his book free if you act now. Book promotion: Awesome deals on Let Patients Help, this week only! There’s an amazing self-publishing site called Smashwords that gives me total control over distribution of my e-book editions. Through Saturday, get it FREE on Smashwords! Not an excerpt – the whole book! In Kindle format, or ePub (for Apple iBook and others), PDF, and a slew of other formats! Click here and SCROLL DOWN to the download list (“available ebook reading formats”). Questions? See their support FAQ. 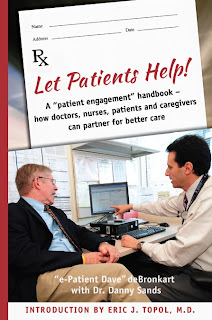 If that fails, write to support@epatientdave.com and we’ll do our best to help. 2. 50% off on the print edition! Also through Saturday, get the print edition on CreateSpaceat HALF PRICE! At checkout, copy & paste this discount code LMQ6RVTF in the “apply discount” box. The print edition is now live on Amazon – available for overnight delivery! List price is $8 – no discounts – Amazon doesn’t let me do that. Like it? PLEASE post a review on the Amazon page! Whether you are a D-mom/dad, Diabetes patient, or simply an engaged Health Activist, we think you'll love Scott Benner's new book: Life is Short, Laundry is Eternal. Cheers! ... or just buy a copy. And recently, our diabetes care business submitted a premarket approval application for the FDA for the Animas Vibe insulin pump and continuous glucose monitoring system. This next generation insulin pump incorporates Animas' color screen and waterproof technology and a Dexcom G4 Platinum sensor, which enables people with diabetes to make more informed decisions to help control their disease. Research has shown that a few people with Type 1 diabetes are at an increased risk for having traffic accidents due to low blood sugars. Possibly, we can help the diabetes community. The study is strictly confidential and the data collected will not be shared with any other person or agency. The study is done in your own home at your own convenience (no visits to clinics). Participants may earn up to $270 in internet gift cards. For more information, please visit www.diabetesdriving.com. Maybe more so, if that is possible, for the courage he shows sharing his post on association. New York, NY, April 15, 2013 – JDRF announced today that it has created a new resource for adults newly diagnosed with type 1 diabetes (T1D). The Adult Type 1 Pak is a sling-style bag that will include important resources and information to educate, support, and inspire adults newly diagnosed with T1D, age 16 and above. In collaboration with JDRF’s generous sponsors—Bayer Healthcare, Medtronic, and Novo Nordisk—the kit is now available through local JDRF chapters, and is free of charge. The Adult Type 1 Pak was created as a part of an effort to ensure that all individuals newly diagnosed with T1D receive the information and support necessary to adjust to life with the disease. JDRF has found the Bag of Hope to be extremely beneficial to families of newly-diagnosed children with T1D, and is hopeful that the Adult Type 1 Pak will be just as valuable to newly-diagnosed adults. Each year in the United States alone, more than 15,000 children and 15,000 adults are diagnosed with T1D, and JDRF continues to work to expand its efforts to better support people of all ages, and at all stages of life with the disease. I have the privilege of hosting DSMA Live 'Rents with Lorraine every other Monday. What isn't well know is that while we are hundreds of miles apart, we typically are in a Google hangout when we host the show. Here is a sign I held up to the camera one night. In a few weeks, for the first time ever, we will both be in the same place doing the show together. Join us for special episode SUNDAY April 28, 9:00 PM eastern. Our guests? Each other. And - may some special cameo appearances. I love finding and sharing a good piece in the DOC. Here is one, well five. The real life experience of being in an AP trial. Anna Floreen shares her recent chaperoned real world experience with an artificial pancreas system. Real wold meaning she was out and about and chaperoned meaning a nurse with teh study was stalking her as she was out and about. Diabetes by any other name would still be as sweet. Living in a family with two T1D teens and a being T2D myself means a I have front row seat to diabetes differences. No two people with diabetes have exactly the same set of struggles. Unfortunatly there is often a desire to use diabetes differences as surrogate for virtue. I get parents of kids with Type 1, who feel frustration. I have suggested renaming Type 1, “I don't need the D-Day Details I only Need Carb Counts for your Menu and Does Anyone Have a Ouija Board so we can Figure Out Why the Insurance Doesn't Know What is Up With the CGM Because Parents Never Get to Sleepabetes.” This kind of frustration can lead some to less facetiously wanting to rename Type 1 so that their kids don’t get treated like they did something to deserve the chronic condition they have. Some say, ‘Type 1 is different’ and our kids shouldn’t be stigmatized by association with Type 2. Well, yes, everyone diabetes is different and what works for one Type 1 child may not work for another. Certainly the self care process for Type 1, with daily injections starting the day of diagnosis can be viewed intense right out of the gate. No child with Type 1 is responsible for the genetics that increased their likelihood of getting it and no they shouldn’t be stigmatized by ignorance. Much of that holds true for Type 2 as well. No two cases of Type 2 are exactly the same and yes the initial treatment may variy from Type 1 and certainly varies from individual to individual, none the less it is often traumatic. Still, nobody with Type 2 is responsible for the genetics that increase or decrease their likelihood of getting it. Some already disadvantaged ethnic groups are at significantly higher risk for Type 2. Nobody with any type of diabetes should be stigmatized by ignorance and blamed for it. 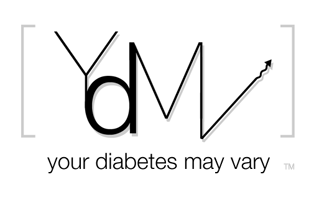 I am not jumping on board to the idea of re branding type 1, beyond being careful to be clearer going forward about the type of diabetes I am writing about. I do not wish to react to ignorance and stereotyping of a few without the recognition of the of larger ignorance and stereotyping that is rampant with all diabetes. That ignorance is at the core of all diabetes stigma. I want to avoid promoting false stereotypes and ignorant assumptions about all diabetes including Type 2, particularly for already inappropriately stigmatized populations. The most significant thing I have learned from diabetes is to honor others’ struggles without offering a simplistic solutions. In my view the solution to ignorance and stigma is education and empathy, for all people with diabetes. If you receive any of these alarms, the pump may prompt you to complete the rewind, load and prime sequence to clear this alarm. Failure to follow the pump’s safety instructions and disconnect your infusion set from your body before the “rewind, load and prime” steps can lead to unintended delivery of insulin, placing you in danger of potential serious health risks, such as hypoglycemia. BACKGROUND: The Animas 2020 Insulin Pumps are used to deliver insulin directly into your blood for the treatment of diabetes. At Medtronic, we are committed to continuing to improve our products and services to enable people to manage diabetes. We recently sent a letter to notify U.S. Paradigm users and their healthcare professionals of two potential issues relating to Paradigm insulin pumps. We are informing our customers of the potential for a loose drive support cap. In rare cases, the cap may stick out from the side of the insulin pump as a result of impact(s) with a hard surface. The letter also reminds our customers of the existing User Guide instructions that exposure to water can damage the insulin pump's internal electronics.